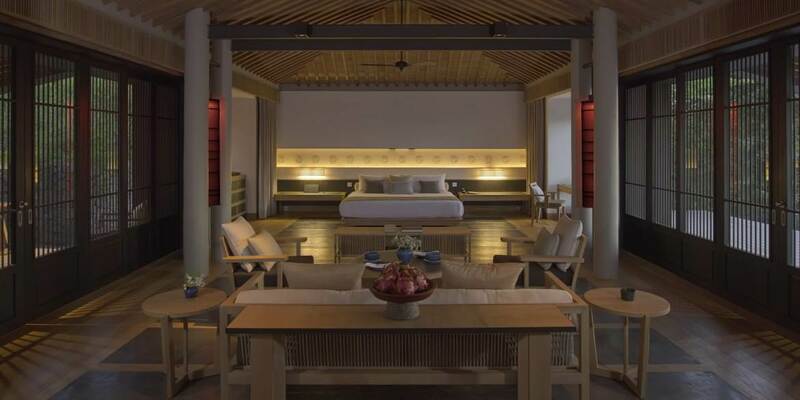 The spectacular coastline of Vietnam’s Ninh Thuan Province is the dramatic setting for the latest addition to the Amanresorts portfolio: Amanoi. Derived from the Sanskrit for “peace” and “noi” meaning place, it sits on a wide promontory of the Nui Chua National Park overlooking the white sands of the beach and the beautiful waters of Vinh Bay. 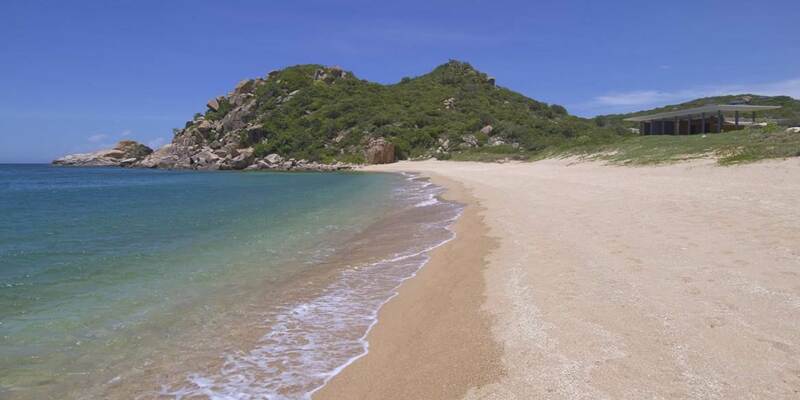 The 55 kilometres drive from Cam Ranh Airport ends in a scenic journey through the National Park, which brings guests to Amanoi. 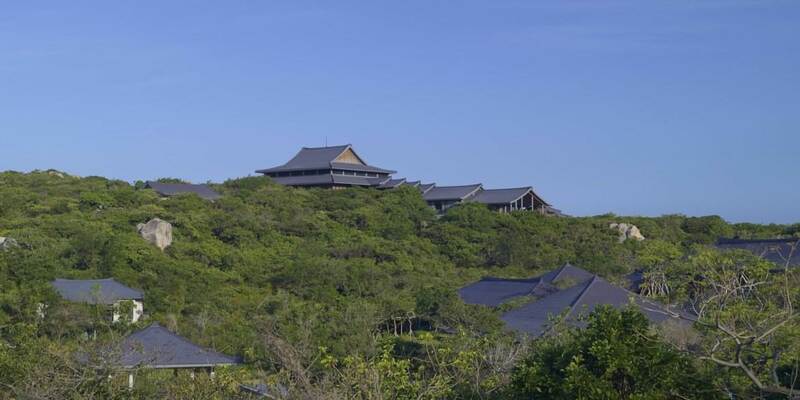 Broad stairs lead up to the Central Pavilion which affords breath-taking views of the panorama below, making the arrival an unforgettable experience. Situated on the hilltop, The Central Pavilion is home to The Restaurant where the cuisine is a combination of delicious Vietnamese and Western dishes, prepared using only the freshest locally sourced ingredients. Also here are the Bar with a terrace which makes the most of the spectacular view, The Library which offers a place to relax with a book and The Boutique which sells traditional Vietnamese lacquerware and other handmade items. This is the perfect resort in which to relax, with two beautiful swimming pools; one the Cliff Pool is close to the Central Pavilion while the other is at the Beach Club overlooking the white sandy beach. A range of water sports is available here with Hobie Cats and kayaks perfect for using to explore the caves and inlets around the bay. The sea of the Conservation area around Vinh Hy Bay teems with a myriad of fish and is renowned for its rare and beautiful corals, making it a paradise for snorkelers and scuba divers alike. Indeed fishing is the main industry in the bay and guests can walk or take a car to witness for themselves the bustle of daily life in the nearby village. It is worth exploring the Nui Chua National Park with its rich diversity of flora, fauna and ecosystems. Amanoi can arrange guides to take guests into the park where it may be possible to see some of the many species of birds and mammals, perhaps even the endangered black-shanked douc- an Old World monkey. Those who choose not to venture out will find plenty to occupy them at Amanoi, with a spacious Gymnsasium, two outdoor tennis courts and a number of walking, running and trekking routes, there is also Pilates Studio and a lakeside Yoga Pavilion. 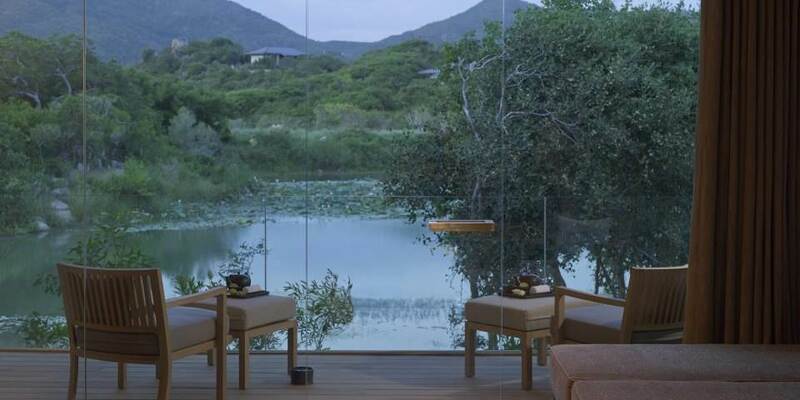 The Spa at Amanoi is in a serene setting by a lotus filled lake, treatments are given using Aman Spa’s natural chemical free products together with traditional Vietnamese ingredients. 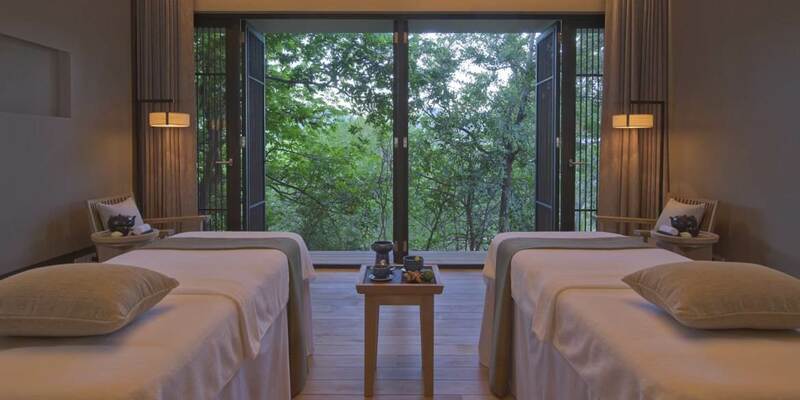 It is a tranquil place made for relaxation and rejuvenation. 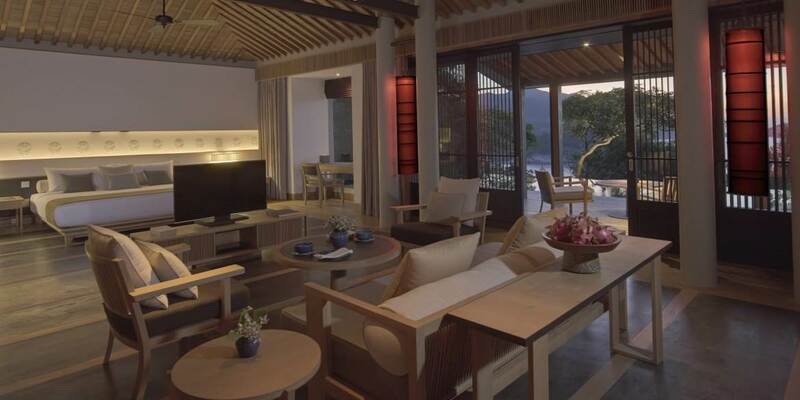 Each of the 31 Pavilions is a combination of traditional Vietnamese style and contemporary elegance. Positioned on the hillside, all are identical in layout with spacious combined sleeping and living areas, have a writing desk and sofa, luxurious bathrooms and a sundeck complete with sun loungers. Wi-Fi, a sound docking system, TV with international channels, espresso machine and mini bar are also included. Pavilions have views over the surrounding countryside with some having the added luxury of their own pool. 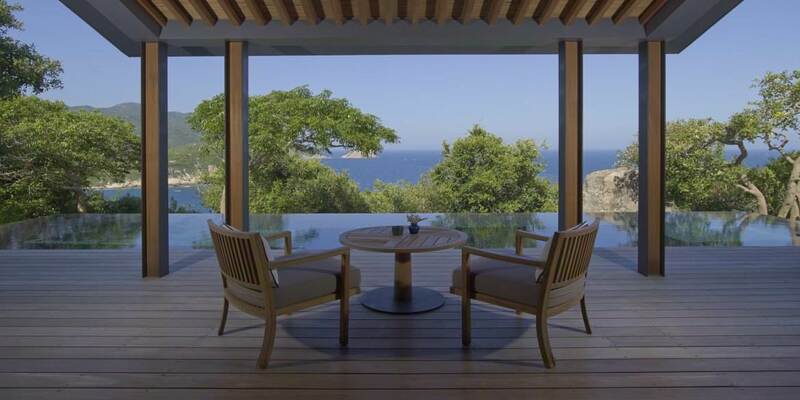 Ocean Pavilions, again some with private swimming pools have stunning views across Vinh Hy Bay. 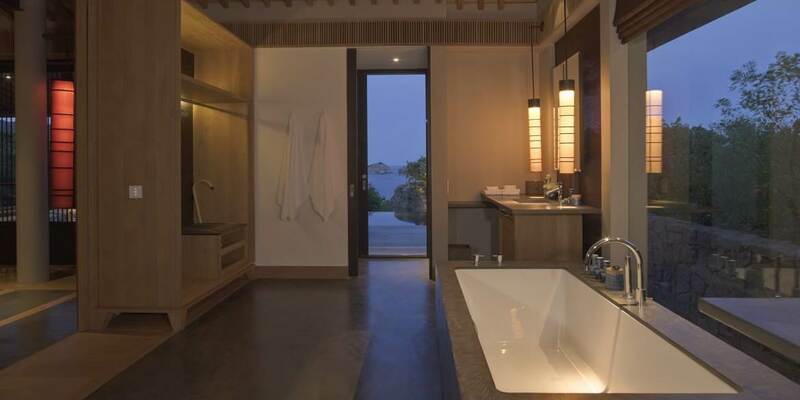 The five Aman Villas have everything even the most discerning guest could need, and are perfect for guests desiring extra privacy, for families or for friends travelling together. Each has a large private swimming pool, living and dining pavilions and either four or five freestanding bedroom pavilions. There is also a private kitchen for the preparation of delicious meals. The live in housekeeper and cook will ensure that guests have everything they could possibly need.